Trying to get pregnant without success is one of the most difficult situations a couple can experience. As time goes on it may seem as though your dream of a family is out of reach. If you have been trying to conceive for a long time without success, do not give up! There are a number of treatment options available to you to help you start a family. drjohnzhang, August 25, 2014. No Comments. Category: Fertility, Fertility Treatment, Infertility, IVF Treatment, New Hope Fertility, New York. The food a woman eats can have a real effect on her overall health and fertility. 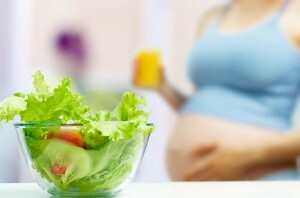 Therefore, it is important to be conscious about what you are eating while trying to conceive. drjohnzhang, August 18, 2014. No Comments. Category: Fertility, Holistic Living. Trying to conceive can be a stressful time for couples. Unfortunately, common advice about how to get pregnant is often incorrect. Take care to avoid these eight myths about getting pregnant. drjohnzhang, August 11, 2014. No Comments. Category: Holistic Living, Pregnancy.